There have been plenty of stories about the low wages for minor league baseball players and the difficult conditions they often endure, and those conditions have led to lawsuits, pay increases from the Toronto Blue Jays, and discussions about wider MLB changes. But in the meantime, there are still numerous minor leaguers trying to make things work on a minimal salary with little security and little control over where they live. And one, Tampa Bay Rays pitching prospect Jack Labosky, is taking an unusual approach to that; he plans to spend this year living with girlfriend Madi Hiatt in a school bus he bought and renovated. Labosky was drafted by Tampa Bay in the 22nd round last year and played for Class A Hudson Valley in Wappingers Falls, New York for the last two and a half months of the season, but only made $1,100 per month. Combined with his $3,000 signing bonus, he pulled in just over $5,000 for the year. And he and Hiatt wanted to live together this year, but she’s focused on her schooling (she’s working on a master’s degree in educational psychology from Purdue University Online), so they didn’t have a lot of money for rent, and also had some concerns about what would happen if he wound up being transferred between different levels of the minor leagues. 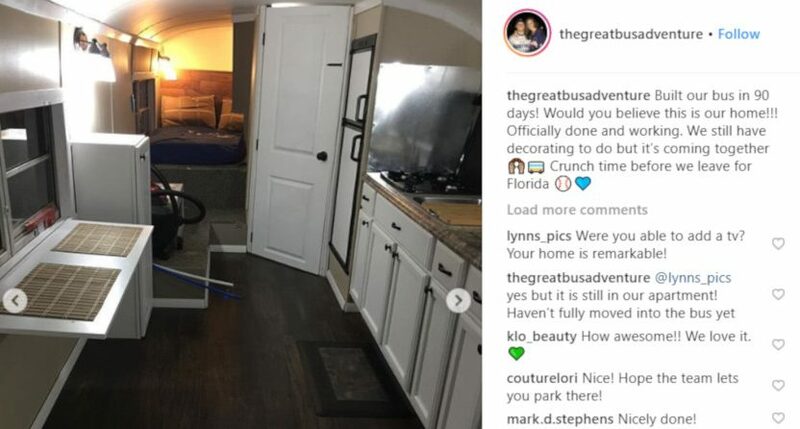 …“Once people see the finished product and they realize, ‘Oh, it’s a motorhome, it’s pretty normal,’ they’re a lot more positive toward it as opposed to being like, ‘Hey, I live in a school bus.’ That just sounds crazy,” Labosky said. Day 2! Before & After 🚌 Making progress #TheGreatBusAdventure Anyone else find the dirty seat stains on the wall funny? Before and After! It might not seem like a lot but it’s coming along. Every step takes time and Jacks the guy who is doing it ALL, ALL by himself! Hopefully by the end of this week the bedroom and bathroom will be 100% done. That’s a cool and innovative approach from Labosky and Hiatt, and a good way to make the best of their limited resources. It’s still unfortunate that minor league players have to come up with creative solutions like this to stretch their paychecks, but maybe that will change with time. In the meantime, Labosky and Hiatt appear to have found a pretty clever way to make the most of what they do have.